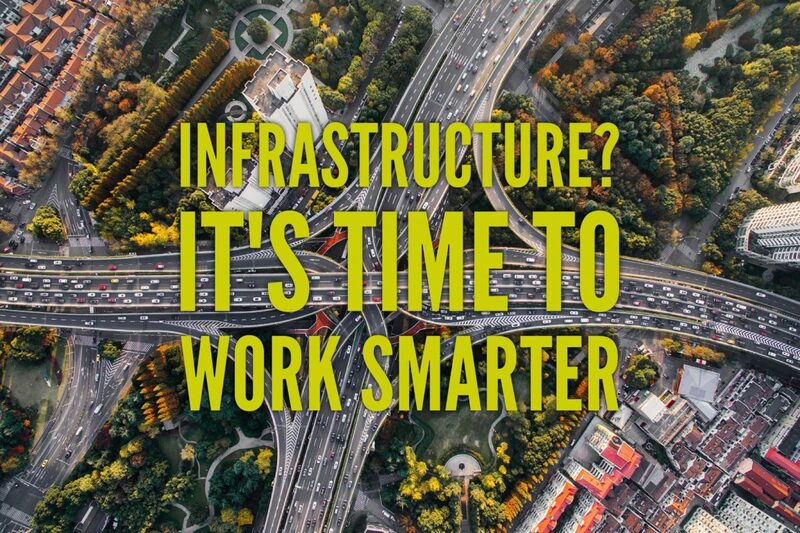 Infrastructure is back on the agenda in a big way in the US. There are two good reasons why. First, the current incumbent of the White House has put infrastructure spending at the top of the agenda (well, first after immigration and healthcare reform…); because in a hat-tip to Roosevelt’s pump priming-policies, massive investment infrastructure not only creates jobs (especially Trump’s homespun blue-collar jobs for American people narrative), it also repays dividends in community benefit and long-term regeneration. Second, the American Society of Civil Engineers (ASCE) has just released its Infrastructure Report Card – a simple assessment of the state of national infrastructure, released only every four years, in typical high school language: A to F. And America does pretty badly, with an overall score (everything from solar to bridges to airports) of D-. So it’s not as though there’s a shortage of work to be done. President Trump has set his ambitions on infrastructure spending at around $1tn. The question is: where’s the money going to come from? Here in Britain, we are learning that funding for megaprojects is becoming ever more convoluted. PFI, the public/private funding methodology of the Brown era has been so thoroughly discredited for its long payback periods, dubiously contorted business case and frequently low-quality building work that it had to be abandoned (and then quietly replaced with PF2). More worryingly, on April 4th, the Financial Times quietly reported that UK infrastructure projects are no longer attractive to that most stable of investment vehicles, the pension fund. The Pensions Infrastructure Platform (PIP), a scheme designed to facilitate connections between pension funds and infrastructure, has attracted just £1bn. All told, that’ll build less than 80m of the new proposed runway at Heathrow. And if you thought that PFI was stretching the public purse’s operating envelope, the FT continues by explaining that PIP’s investment in the London SuperSewer had to be incentivised with a financing structure that allowed investing funds to take a profit before construction had finished – a sufficiently abnormal arrangement that it required new government legislation. None of this is sustainable. Every time we continue to appease owners of capital with a better deal, we make the fundamentals of design-and-build more precarious. After all, since PFI, has the funding pressure on the public sector reduced? Not a bit of it. Ultimately, in business there must always be winners and losers. Western national governments are in a debt crisis from the financial meltdown of 2008 from which they have by no means fully recovered. Oil nations (Qatar, Abu Dhabi etc.) have poured money into the UK, not least because it is a stable home for capital under the rule of law, but even their appetite for infrastructure as an investment is waning. The move towards a more self-sustaining economics is unstoppable, and infrastructure must take the hit like every other sector. Coping with it will take strength from within, or to put things more simply, doing more with less. But salami slicing doesn’t work. Working the same way with fewer resources is a short-term coping strategy, not a sustainable one in the long-term – which is why so many public sector resources are creaking at the seams. And that’s because it is inconceivable and utterly impossible that working the same way with fewer resources can yield better, or even the same, outcomes. That’s why our position has always been that in troubled economic times, we need transformatively different working models. “Transformative” is an overused word in the consultancy game, and it’s worth revisiting the fact that it simply means moving away from the established norms dramatically enough to make a difference. Transformation is the opposite of salami slicing. The interesting part of this is that doing something different isn’t hard. It’s the act of moving away from the status quo that hurts. Rather like launching a rocket into space, it’s the first stage that requires the most energy, so choosing your power source matters. Conventional wisdom has it that executing change in business is a function of (among others depending on your perspective) societies, strategies, people, processes and technologies. And in that list, people are the most powerful lever. Your people can be motivated and incentivised. They have infinite reserves of goodwill when effectively directed and the capacity to react to emerging trends and to self-improve on the job. Your team is the key tool of transformation and, for the infrastructure segment, transformation is non-negotiable.